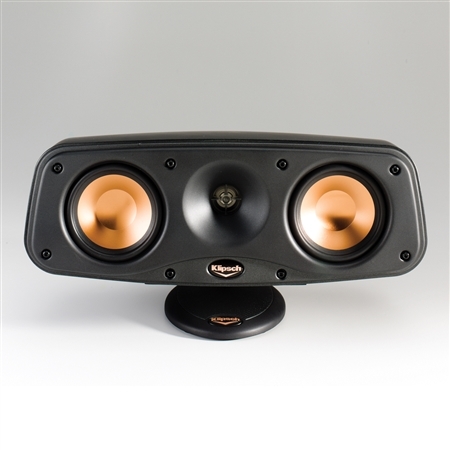 To meet the demand for speakers that fit almost anywhere and still deliver excellent sound, Klipsch has developed a new compact center channel for its legendary Reference Series line. The RCX-4 enters the lifestyle category by combining performance, style and functional versatility for users who want dynamic sound but in a small, unobtrusive package. This horizontal-oriented center channel can handle multiple installation applications without trading off sound for style and convenience. Its high-performance sound nicely enhances stereo or home theater applications, allowing consumers to create captivating audio experiences. The RCX-4 delivers incredibly dynamic and accurate performances by utilizing a 1-inch titanium-dome compression driver coupled to Klipsch's new round MicroTractrix™ Horn. 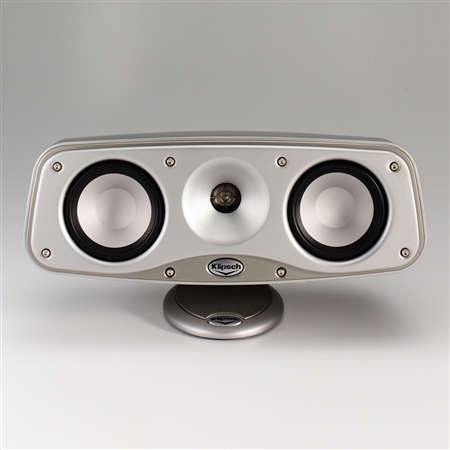 This magnetically shielded speaker also employs a pair of 4-inch woofers that flank the MicroTractrix® horn. The woofer is a long-throw unit powered by a unique neodymium motor structure. The Cerametallic™ cones are lightweight with excellent rigidity, which dramatically reduce any resonance. As a result, the RCX-4 is capable of robust bass extending low enough for comfortable operation with today's built-in A/V preamp/processor and receiver crossovers. As with all new Reference Series models, the RCX-4 uses high-quality network components and top-of-the-line internal wiring for proper driver blending with minimal degradation of the incoming signals. These premium features ensure nothing but outstanding performances. The RCX-4 sports a modern look that comes in a black finish. The center channel's integrated pedestal stand with ball joint allow it to be adjusted in almost any direction by simply using the provided allen wrench. Keyholes are provided on the underside of the stand base for no-hassle wall mounting. The magnetic grille easily snaps into place over its cast-aluminum front baffle, while sturdy five-way binding posts ensure secure connection to any type of cable. This center channel comes individually packaged for mix-and-match simplicity or as part of the Klipsch Cinema 8 and 10 home theater packages. While no longer in production, RCX 4 loudspeakers are still owned and listened to by Klipsch fans around the world. To connect with other people who are passionate about audio and interested in Klipsch products, visit our open forum bulletin board.